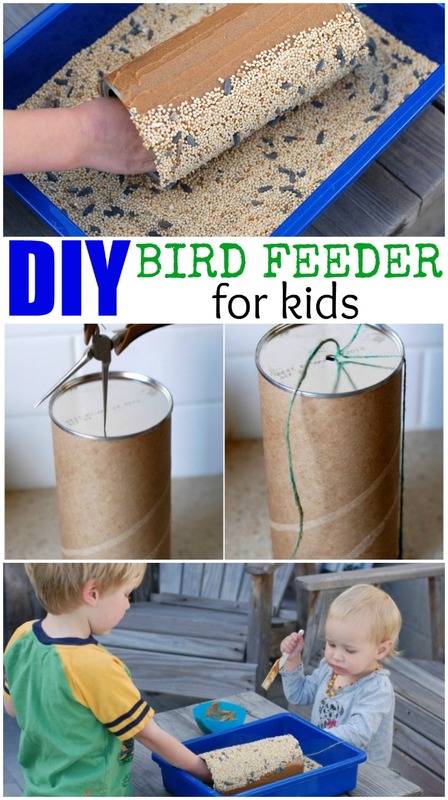 This DIY Bird Feeder for Kids is a fun and easy craft for kids to make. 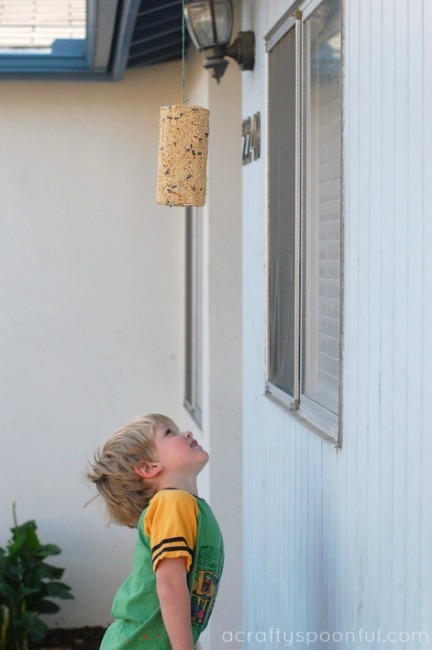 Once they hang it up they can enjoy the birds who come to eat from it and explore nature up close. My kids love to be outside. Whether it be taking a walk, playing in the front yard or visiting the local wildlife trails, they are always able to spot the wildlife before me and enjoy pointing out the different birds and animals we have living around us. For the past few mornings, we’ve been awoken by the wonderful sound of a neighborhood woodpecker. Upon discovering his location my son wakes up and asked if we could track him down. On our adventure to see what phone pole the woodpecker was pecking we started talking about birds. After hearing all the fun and wonderful things birds like to do and eat my son asked if we could make a bird feeder. So while I was at the local pet supply store picking up dog food later that day I grabbed a pound of bird feed and we got to work. 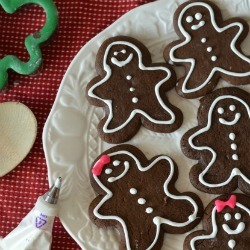 It ended up being simpler than any of the crafts we’ve attempted so far. Plus, it was the perfect tie-in to teaching the kids about the wildlife around us. Since all of my children are animal lovers, I knew they’d love the new movie Americano, coming out on DVD and Digital HD on June 13th. 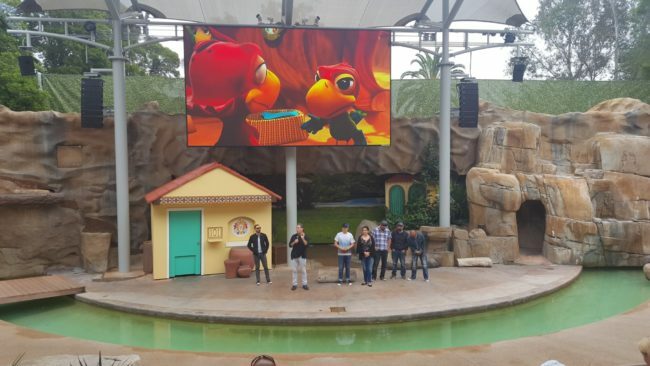 We were invited to the San Diego Zoo for a fun outing to meet the filmakers behind the movie and hear a little bit about how the movie came to life on the big screen. The kids got to meet some animals up close and explored the zoo to learn other fun facts. 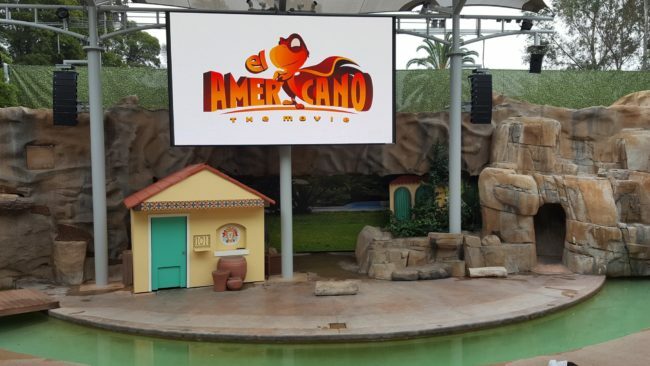 Americano is an animated film about a Mexican parrot named Cuco (voice of Rico Rodriguez) who gets bored with his family’s bird circus and tries to change things up. But when Cuco’s acrobat father, Gayo, gets hurt, rival bully bird Martin swoops in to take over the show. So, Cuco does what he has to do and heads for Hollywood, hoping to learn daring action stunts from his favorite TV star, El Americano. My kids enjoyed the film and connected with Cuco’s story and his quest to meet his hero in person. They were so inspired that they asked to make some bird feeders so they could see their own local birds up close in our back yard. 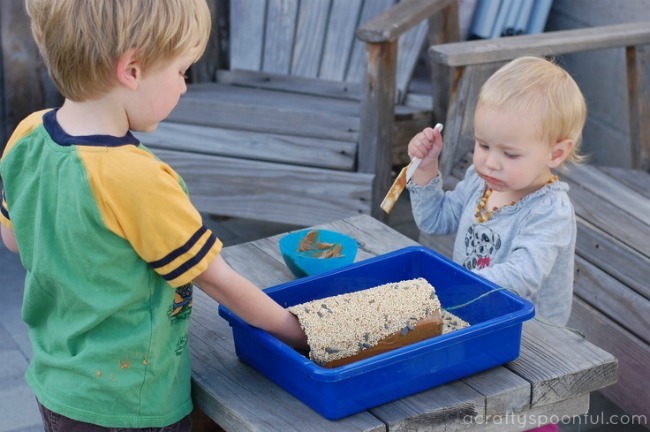 We used the same method we did years ago when the two oldest were little. 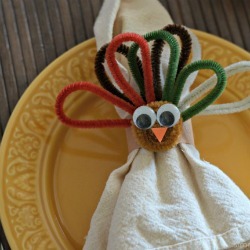 Such a fun and easy craft! 1. 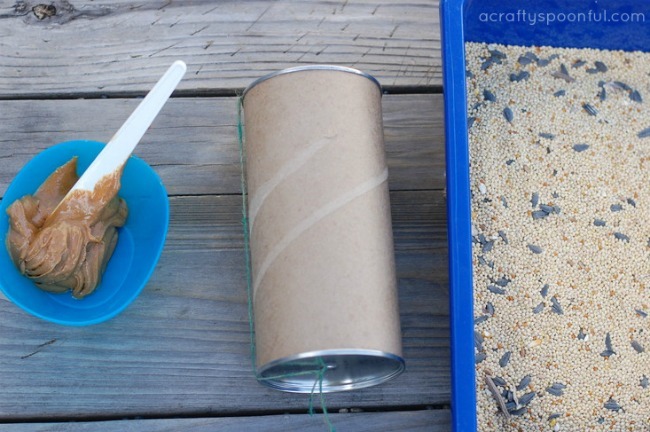 Remove paper from canister to expose the cardboard. 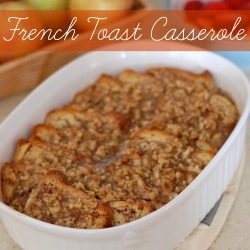 Remove lid and discard. Using sharp pointed tool, poke a hole in the bottom of the canister. 2. 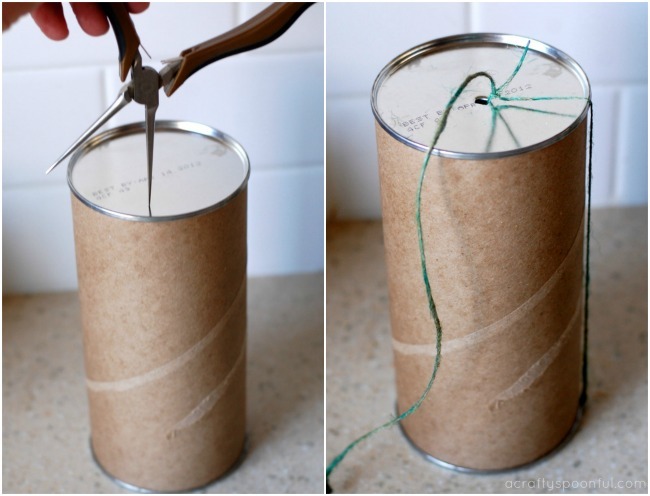 Cut about a yard of twine and string twine through canister. Tie off at the top. 3. 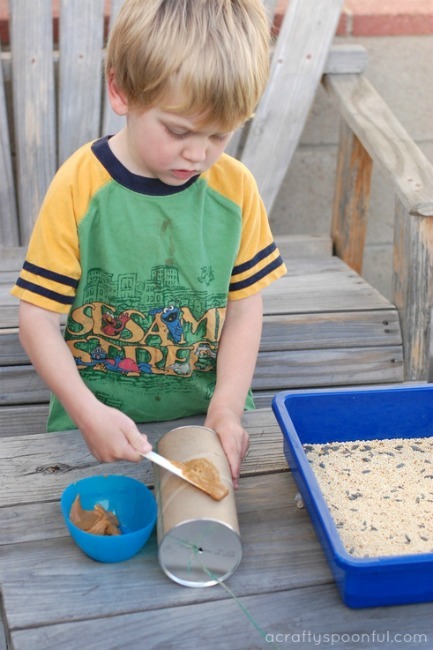 Set out the peanut butter and seeds so that it’s easy for your child to assemble the bird feeder. 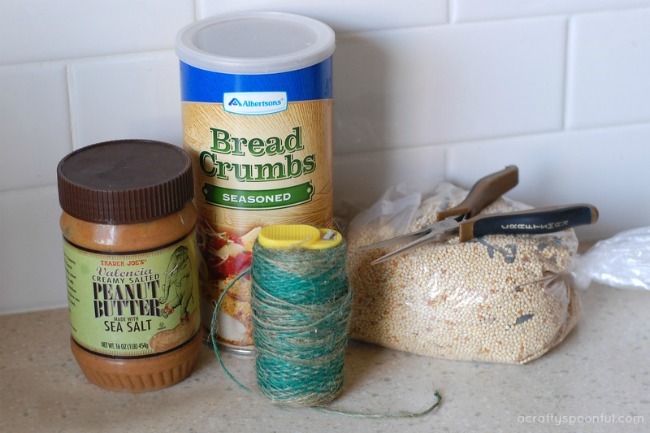 Grab a plastic knife or spreader for the peanut butter and place the bird seed into a container or on a paper plate. 4. 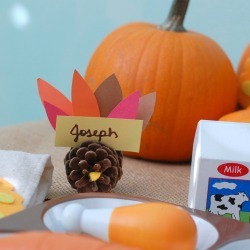 Let your child spread the peanut butter all over the canister sides. Be careful not to get covered in peanut butter by holding onto the inside of the canister on the open top. 5. 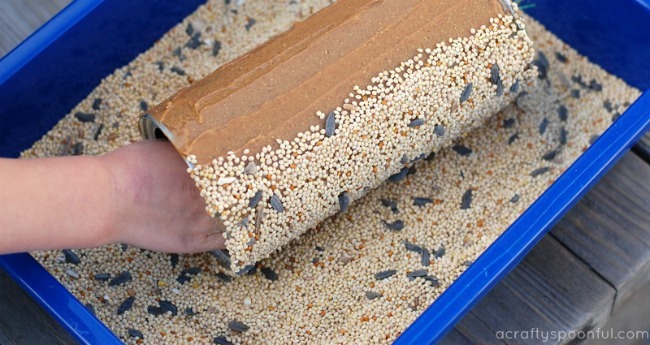 Once the peanut butter is covering all of the canister, roll the canister into the seed. Place your (or your child’s) hand into the container to apply pressure. 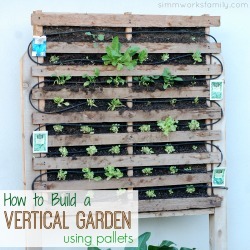 This will maximize the amount of seed that adheres to the canister. 6. 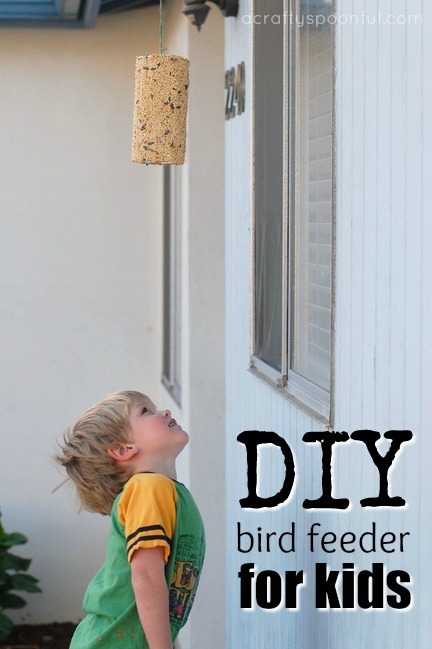 Hang the bird feeder up on a sturdy hook or post and wait for some feathered friends! Do your kids love to pick out the fun birds they see? Love what you read? Read more!